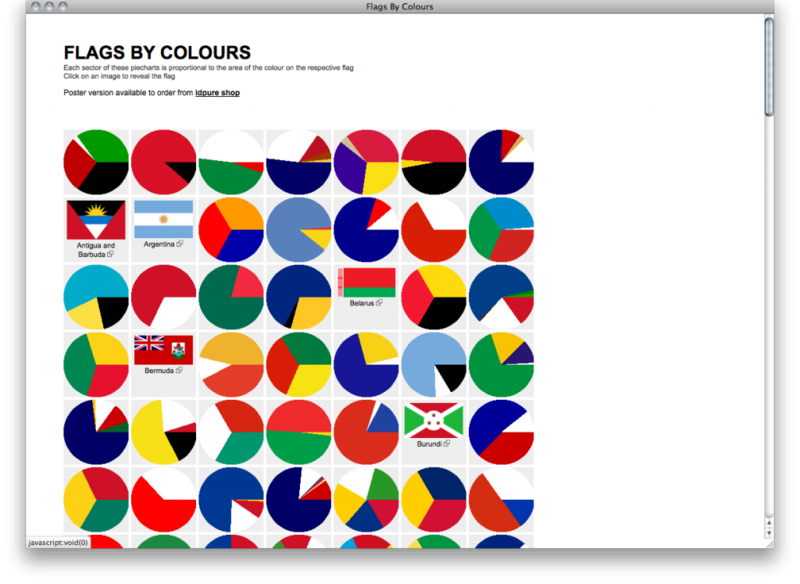 Flags of the world as piecharts. 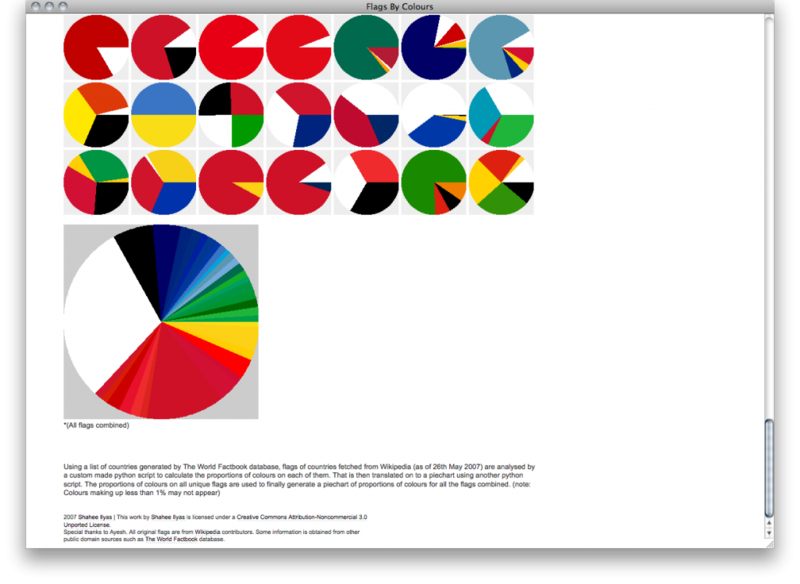 Each sector of these piecharts is proportional to the area of the colour on the respective flag. 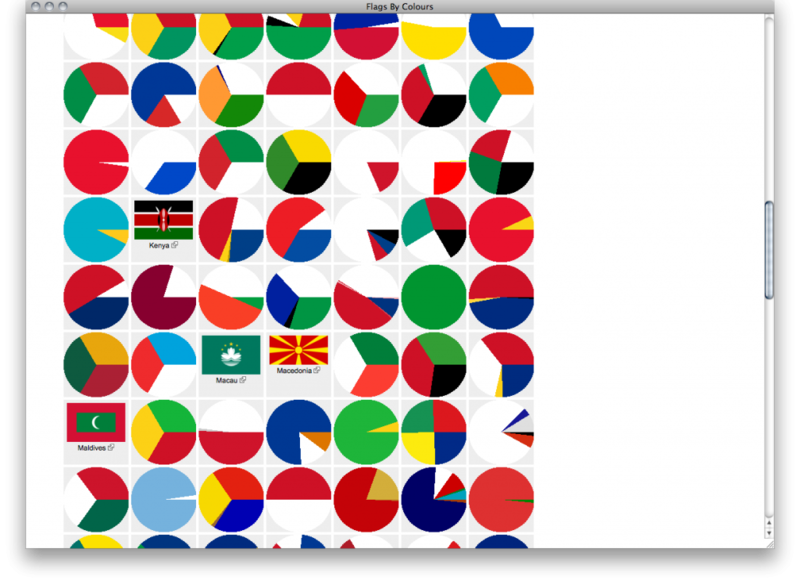 Using a list of countries generated by The World Factbook database, flags of countries fetched from Wikipedia are analysed by a custom made python script to calculate the proportions of colours on each of them. 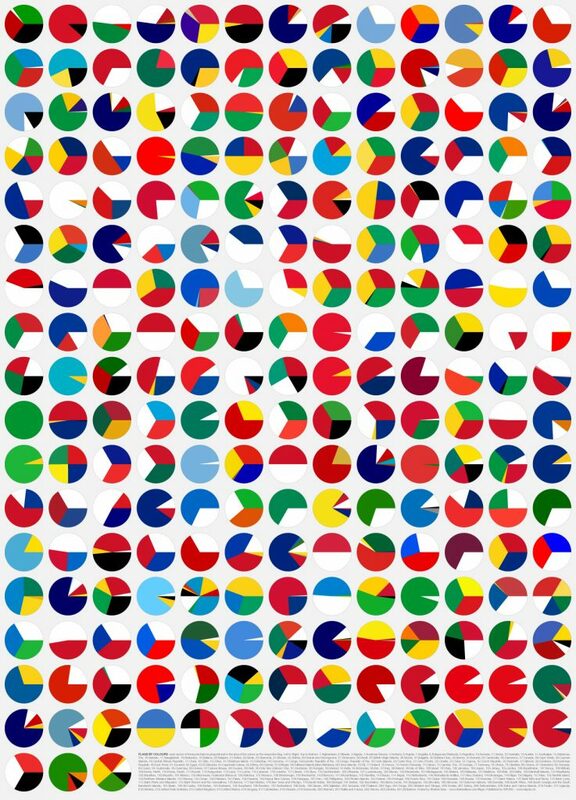 That is then translated on to a piechart using another python script. The proportions of colours on all unique flags are used to finally generate a piechart of proportions of colours for all the flags combined.